As soon as the prohibition of alcohol went into effect in this country, some enterprising citizens found their way around it. Unfortunately, many of them were major criminals and this country experienced a crime wave that raged in the streets. Law enforcement’s hands were full, so maybe that’s why they hired a few women. Two of them are featured in the American Spirits: The Rise and Fall of Prohibition exhibit touring the United States. 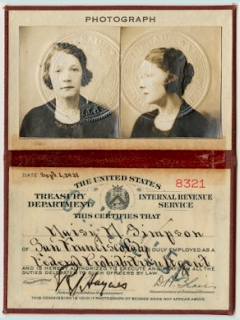 She led raids into bars, restaurants, and private parties as well as speakeasies. She worked in Seattle, Chicago, and Los Angeles. The exhibit says that she resigned when the San Francisco office decided it would not hire women. However, her methods were so suspect that judges reprimanded her in court. It makes one wonder why she really quit. Simpson had been a recovered addict before enlisting and when she became ill and bedridden after leaving the Bureau of Prohibition, she relapsed. An arrest followed, for receiving narcotics through the mail. Despondent, she smuggled a gun into jail and shot herself in the stomach. After a long recovery, she paid her bail and disappeared. 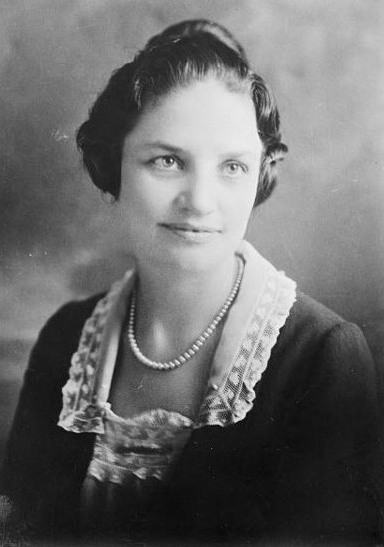 Mabel Walker Willebrandt was an assistant attorney general who supervised US attorneys taking cases to courts. The Volstead Act, passed by Congress as a guide to enforcing prohibition, brought a record number of cases to federal courts and, at that time, the federal system had little experience in prosecuting crimes. Willebrandt rated the work of the attorneys and dismissed inefficient attorneys and those who were opposed to the Volstead Act. This brought her criticism from prosecutors and she left her position, although it is not clear why. Some sources say President Hoover fired her; others say she resigned after Hoover did not promote her to Attorney General—a boon she expected after campaigning for him. She was the second woman appointed as an assistant Attorney General, but the first to serve an extended term. She also holds other firsts: first female public defender in Los Angeles, first woman to chair a committee of the American Bar Association, and first woman to head the Tax Division. Do I hear an undercurrent of tough women not being appreciated?